Living the Legacy. Fulfilling the Vision. Celebrating 100 Years of Natural History. Rooted in nearly a century of conservation, today's Naples Zoo at Caribbean Gardens is a nonprofit 501(c)(3) with a rich history. In 2019, we are celebrating 100 years as a botanical garden and 50 years as a zoo! It's been a wild 100 years with an even more exciting future ahead! The large graphics heading each section below were published in Naples Daily News in 2014 to celebrate 95 years as a botanical garden, 45 years as a zoo, and 10 years since the vote to purchase the land. 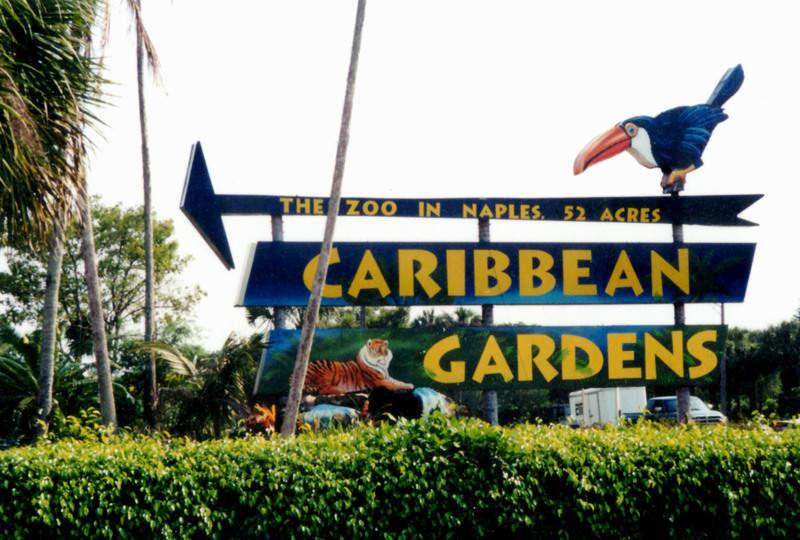 The story of Naples Zoo at Caribbean Gardens begins with botanist Dr. Henry Nehrling. An early conservationist, Nehrling wrote in 1904, "It is high time to protect and preserve what is still left." He first acquired the Naples site in 1919 to avoid a repetition of the disastrous freeze to his plant collection in central Florida in 1917. At that time, this portion of Naples was being sold in farm plots for agriculture. In regard to his new work, he stated, "In my 66th year, I again became a pioneer of the wilderness." His newfound devotion allowed him to say in 1925, "My garden, containing about 3,000 species of tropical plants, is a constant source of intense pleasure and delight." His new home, the famed "Tropical Garden," one of the earliest plant collections in Florida, occupied the northern acreage of the present day Gardens. Many of his plantings, still remaining, provided the inspiration for current endeavors. Dr. David Fairchild, the veteran plant explorer associated with Fairchild Tropical Gardens in Coral Gables, wrote of Nehrling, "He was always a naturalist at heart...a great plantsman of the type so rare that one can hope to meet only a few, even in a long life of travel." Leading scientists and environmentalists of the day consulted with the keenly observant botanist about his work during their visits to his gardens. Nehrling's guests included the likes of Theodore Roosevelt, nature writer John Burroughs, horticulturist Liberty Hyde Bailey, pioneer naturalist Charles Torrey Simpson, botanist David Fairchild, and famed inventor Thomas Edison. During his work for the Office of Foreign Seed and Plant Introduction to the U.S. Bureau of Plant Industry, Nehrling introduced over 300 new and beneficial plants to the United States including the colorful and immensely popular caladium. Dr. Whitmer Stone of the Academy of Natural Sciences at Philadelphia said of him, "A typical German professor of the old school, of courtly manner and enthusiastically absorbed in his work, he made a host of warm friends and was pleased as a child when visitors admired his garden." Following his death in 1929, however, more than twenty years were to pass before his garden was admired again. Of Nehrling himself, David Fairchild reflected, "The wildlife is passing. Man is destroying it. Dr. Nehrling loved it and taught thousands to follow his lead." Indeed, although he received some recognition in his lifetime including the Meyer Medal for service in the introduction of plants to the United States, the far reaching work of Dr. Nehrling is continuing to receive even more attention into the present time including the "Plant Protection Award of Eminence" and "Honor Roll of Eminence" awarded by the Florida Department of Agriculture in 1997. Most of his writings are maintained at Rollins College. 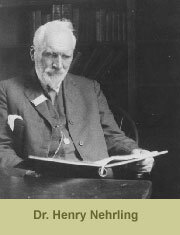 Two of his texts were edited by a Smithsonian Institute botanist for reprint in in the 21st century. The story of Nehrling's tropical garden resumes in 1946 during lunch at the Naples Hotel. Julius Fleischmann of Cincinnati, Ohio arrived in town to soon change the vision of Naples. His grandfather established Fleischmann Yeast that eventually became Standard Brands. Along with entrepreneurial success, the Fleischmanns also had a history of cultural contributions. One of Julius' Naples contemporaries stated he "was active in the family business, but his interests were divergent and included publishing, ownership in several hotels, theatrical production, director and president of the Ballet Russe in Monte Carlo, and he was one of the most renowned yachtsmen in the world." In the 1930s, Fleischmann had sailed the Pacific on a commission to survey plants of the South Seas for the United States Department of Agriculture. During that trip, Fleischmann was also documenting previously uncharted waters. Those charts proved very useful for the military during World War II. He also collected many artifacts currently held by the Cincinnati Museum of Natural History. By the early 1950s, he had begun constructing buildings along present day 3rd Street. In 1952, after choosing a dedicated staff, Fleischmann set about the immense restoration of Nehrling's garden. Clearing a trail through the gardens, removing years of debris, nurturing old plantings, digging lakes and planting a multitude of new species, Fleischmann created a showplace for his guests to see the almost forgotten dream of 1919. By 1954, complete with an array of tropical birds, the garden was ready to delight guests once again and now under its present name Caribbean Gardens. Naples itself was still in its infancy. Early brochures for the garden describe the garden's location as "just north of Naples." A vacation in 1967 initiated the next era for the Caribbean Gardens. Col. Lawrence and Nancy Jane Tetzlaff, known as Jungle Larry® and Safari Jane®, visited the Gardens as they were seeking out a winter quarters for their collection of rare animals. The Tetzlaffs were well known expedition leaders and zoo operators in the Midwest. Larry Tetzlaff had taken his childhood interest in animals and built it into a lifelong mission. 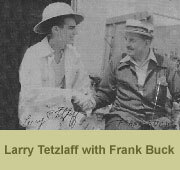 Following the publication of one of his scientific papers while still in college, Tetzlaff was offered a job by the famed animal collector Frank Buck during the 1939 World's Fair in New York City. And that was just the beginning. 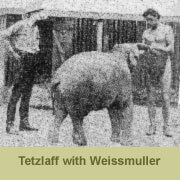 In those early years, Tetzlaff experienced all manners of animal work - from doing stunt work for Johnny Weissmuller in the Tarzan films to milking venomous snakes to provide serum for the soldiers in the Pacific islands. After the war, Tetzlaff returned to the Midwest to communicate his knowledge of the animal kingdom. Audiences ranging from school children to supreme court justices listened to his message of conservation. During this time, Nancy Jane joined him not only as wife but also as partner. Together they traversed both lush Amazonian rainforest and dusty African roads. On their expeditions, Larry recorded cultures and the animal life on 16mm motion picture film while Nancy documented with still photography. Back home in the states, they shared the wonders of these foreign locales in person and on television. Combining film footage and living animals, the Tetzlaffs taught many to appreciate the awesome diversity our planet offers and the critical need to protect it. 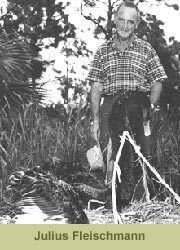 Their early conservation programs also included domestic concerns like their mid-1960s program called "The Vanishing Everglades." And Larry's often repeated phrase "Conservation is the name of the game" was in print years before the Endangered Species Act was established. Beginning in 1964, they also operated a zoological area within the Cedar Point theme park in Ohio and began entertaining and educating over a million guests a season. Although committed to their summer audience, the Tetzlaffs wanted a warm winter home so the animals could be outside all year long. During that vacation in 1967, the Tetzlaff family fell in love with the Gardens but learned the property was not available. The Tetzlaffs did not forget Naples, however, and, shortly after Fleischmann's death, the Tetzlaffs were contacted to see if they would exhibit their animals within the Gardens. They readily agreed. Surveying the grounds, however, the Tetzlaffs then faced the challenge of carefully placing the exhibits around decades old exotic plants and trees. The magnificence of beautiful animals in such a garden proved well worth all the effort. On September 1, 1969, a wide range of the world's animals greeted the Gardens' guests for the first time. Since that time, the tranquillity of the Gardens has inspired many successful breeding programs for some of the earth's most beautiful animals. Zoo director Jack Hanna commented, "When you think of Jungle Larry, you think of a man and his family who literally dedicated their lives to exotic creatures of the earth." 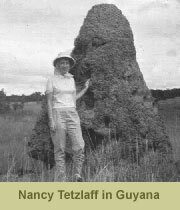 Although Larry Tetzlaff passed away in 1984, Nancy Jane Tetzlaff, her family, and staff continued the vision of her late husband through expanded exhibits and educational activities. You can easily see that vision today in presentations like Safari Canyon -- a technologically updated version of what Larry & Nancy did years ago with their films and live animals. The concept for the new show was envisioned by their oldest son David Tetzlaff and the educational graphics and video were coordinated by youngest son Tim Tetzlaff. In 2000, one of a handful of bronze markers celebrating Naples Diamond Jubilee was placed by the Tetzlaffs to commemorate the historical value of the garden beginning with Dr. Nehrling's pioneering work. During this time of earning national accreditation, the Zoo faced its biggest crisis. Since 1969, the property was leased from the Fleischmann estate. In 2002, the side of the Fleischmann family that inherited the land let it be known that they were interested in selling the 43 acres of Zoo property and the nearly 120 surrounding acres - the first time the property had been for sale since Julius Fleischmann acquired it in the 1950s. Armed with this knowledge and knowing that an outside buyer would bulldoze the Zoo, the Tetzlaffs began public meetings with the Board of Collier County Commissioners regarding a public purchase of the property. During this time, the Fleischmann family waited to allow the community to act. In 2004, a referendum was placed before the voters to let them decide the fate of the Zoo. Wonderfully, the land purchase was approved with a record 73% of voters in favor. An arrangement with The Trust for Public Land allowed the final transition. And to make this purchase easier for the county and other parties, the Tetzlaffs converted the Zoo to a 501(c)(3) charitable organization and handed over control to the new Naples Zoo Board of Directors. This change allowed the community to keep their historic trees and Zoo with decades of improvements and national accreditation. At the same time, the community did not to buy Zoo assets or take on any operational expenses. Even though the land was paid off in 2009, the benefits to Collier County residents continue. Today, with its future secured and guided by an expert senior management team, the nonprofit Naples Zoo is poised for another great leap forward as the people's Zoo. With a Master Plan that creates exciting new ways to connects children with nature including our historic botanicals, we invite you to be part of the ongoing success and promising future that awaits by visiting, becoming a member, or becoming a donor. We hope you've enjoyed learning about the people who nurtured the garden you experience today. As you can see, it's been a wild 100 years with an even wilder future ahead!